FirstDay Cottage was founded over twenty years ago in the early 1990s, by MIT-trained architectural designer, David Howard, who has always been keenly interested in do-it-yourself housing. In the 1970's, David and his wife, Pam, built themselves their first home which measured 11' x 24' and was one and a half stories. David's early work involved designing and constructing timber frames for residential homes. Many of these frames were erected for do-it-yourself builders, who would finish the home after the frame was erected. Although the do-it-yourself timber frames were a success, they weren't quite the economical 100% owner built homes David had envisioned. The FirstDay Cottage design was born out of the idea of timber framing, but was redesigned for the owner-builder to not require a crane or other specialized tools and equipment. 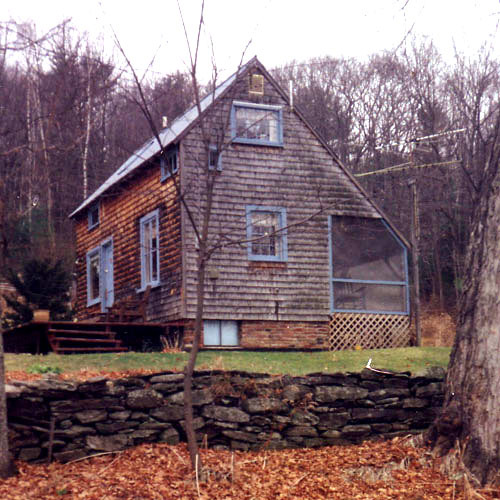 After a few different designs were tried, the first real FirstDay Cottage was built in 1995 in nearby Alstead, New Hampshire - a 1 ½ story 16' x 30' built over a daylight basement. 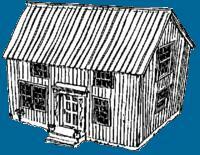 Since then, FirstDay Cottage has expanded to include the Single-Story T, Saltbox, Cape and garage Designs. We have now helped our customers build over 250 houses in more than 30 states from New Hampshire, Florida, Texas and even Alaska. At FirstDay, we hope to add to these numbers as we continue to offer an affordable and viable product that enables our customers to realize their dream of building themselves a home. FirstDay Cottage is now a very small family-owned and operated company with a very unusual and very personal way of delivering our product. We keep things simple and small at FirstDay in order to offer our product to our customers at a low cost and to help ensure that every one of our customers is successful in completing their home. A FirstDay Cottage "kit" is not just a bundle of materials, but includes custom plans, a thorough instruction book, and dedicated support from our staff. FirstDay Cottages use only high quality materials. Our houses contain no plywood or sheetrock. FirstDay prides itself on the quality of our wood, which is necessary to give each house its beautiful all wood interior and make them extremely solid structurally. * FirstDay will guide you through the process of hiring and working with subcontractors for the foundation, plumbing, electrical and heating. Local Shipments (under a hundred miles from Walpole, NH) are delivered in two stages on 20' trucks. Over 100 miles and the kit comes on a single 50' trailer (pictured above). Find more information about the kit in our Frequently Asked Questions. Starting in the spring of 2015, the base price for a FirstDay Cottage House kit is roughly $33 per square foot. Houses with cathedral ceilings typically cost more and houses on slab foundations cost less. The base price covers what is included in a basic kit (as listed above). Some costs are variable dependent on the options and details selected, but we usually find our customers coming in close to this $33 per square foot number. Please contact us with any questions about pricing. Once you are sure you want to build a FirstDay we will take a $2,000 deposit to develop your custom plans. The balance of the kit price is due three weeks prior to delivery. Shipping is charged at cost by a 3rd party carrier. Please contact us for an up to date shipping quote to your building site. Find more information about pricing and budgeting your project in our Frequently Asked Questions. The links below are independent pages put together by our builders. The pages are not endorsed or supported by the FirstDay Cottage company, but are included here to give a real sense of what it's like to build a FirstDay, including the challenges, inevitable frustrations and ultimate satisfaction. Enjoy! David has designed over 400 buildings in 38 states. His love of architecture was fueled as a young man traveling in Europe, where he studied the architecture and the composition of old villages. In 1974, David founded David Howard Inc., which designed and manufactured timber frames for residential homes and for some commercial buildings. During these years, David also imported ten antique English barn frames (circa 1400-1600) which were reconstructed as new homes here in the United States. 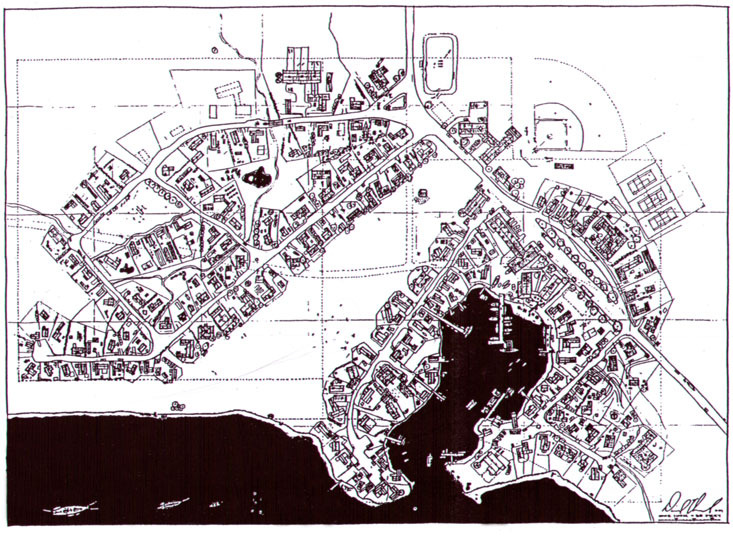 In the mid eighties, David began to focus more on residential design and he started pursuing his dream - the design and development of new villages. One major motivation for developing FirstDay was for a way to "get school teachers into our new villages for half the price". 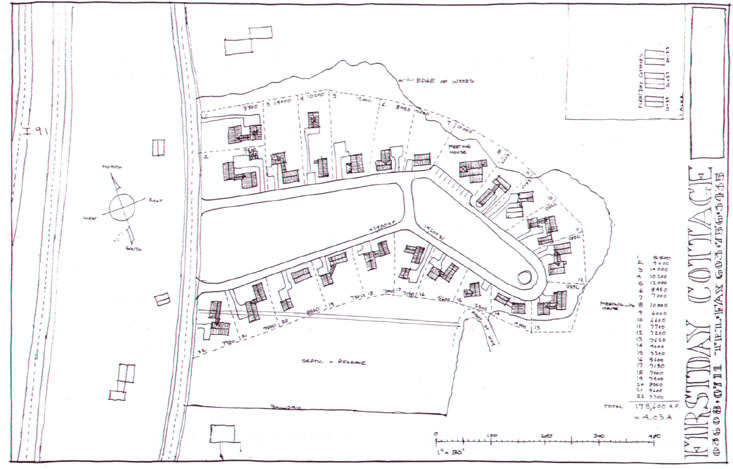 The first new village, for which David contributed the conceptual design, was constructed on Nantucket Island. These days, David continues to do the major design work for FirstDay while actively pursuing the creation of new villages. He still does occasional work as a residential designer, and is also working on the development of a few books on architecture as well as other subjects. David Howard is confident that his buildings are significant assets to our civilization and its future. 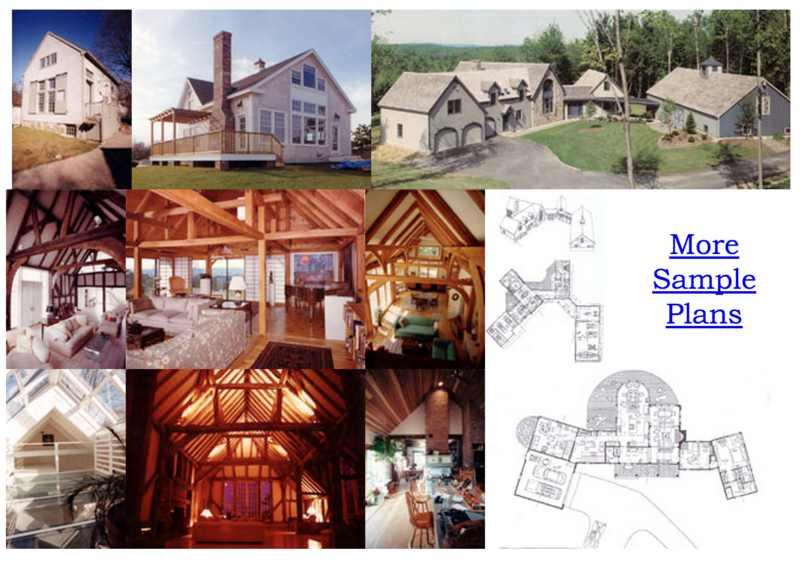 If you are interested in a custom home or would like to learn more about his work contact FirstDay Cottage. A unique brochure that features the complete range of David's work is available.